As we gear up for the fishing season we have been reviewing some files from last season and it brings back warm memories. It is always a pleasure to see our guests back at the base after a wonderful week of fishing. It is not uncommon for tales of trophy northern pike or a to hear about the fast action on our lakes. It is our mission to provide our guests with a first class fly in fishing trip and here are a few messages and comments from guest last season. The fishing on our lakes is truly an unforgettable experience but even greater than the fishing is the time with family and friends spent unplugged and offline. Our modernized cabins have solar electric system, standard kitchen appliances (stove, oven, fridge, & freezer), and indoor plumbing with on demand hot water units. 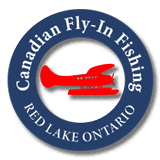 The fishing and the accommodations here at Canadian Fly In Fishing have all the elements required for a great summer family vacation call 1-800-445-4624 or email josh@canadianflyinfishing.ca to inquire about current availability or to book now.